Thanks to air conditioners for saving us during the hottest days of summer. Unfortunately, it is also during this season that the unit faces various problems that seriously affect its performance and efficiency. 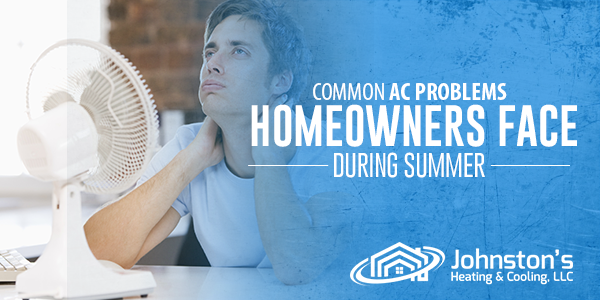 For most homeowners in Shippensburg, PA, identifying A/C problems can be hard without prior experience and knowledge. As a brain booster, here are common air conditioning issues that you can encounter during the warm season. Short cycling happens when your unit shuts off mid-cycle or even before your room cools down. With this, you need to check the thermostat for needed calibrations and the wiring for faulty or eroded parts. To keep your cooling system at optimal efficiency throughout summer, be sure to call professionals for a check-up or system maintenance service. It is frustrating when your unit does not turn on when you badly needed it. Failure to operate can be caused by faulty wiring, tripped circuit breakers and in some cases, a malfunctioning thermostat. Get help from an A/C technician for solutions as soon as you notice the problem. If there is a leak or drips of water around the unit, the refrigerant is one of the main culprits. Check the refrigerant and other mechanical parts of the system to detect the source of the issue. Connect with your HVAC contractor to check for potential drain line clogging, damaged condenser pump, low coolant, etc. One of A/C’s most vulnerable parts are the air filters. As your air conditioning unit operates daily, it accumulates dust, dirt and other particles that restrict airflow. Do not wait until serious problems take place. Clean or replace your filters regularly. Does your home smell like cattle when it turns on? Bacteria, mold, and mildew are at fault to this phenomenon. What should you do to eliminate the odor? Simply call the professionals to track down the source of the smell and offer solutions. To avoid pungent odors from recurring, be sure to replace your air filters every three months and keep your ductwork clean and free from dirt and rodents. Prevent your A/C unit from malfunctioning in the midst of the summer season through expert system inspection and quality maintenance. Johnston’s Heating and Cooling, LLC is your trusted HVAC contractor to keep an eye on your system all year-round. Call us for an appointment!